Maui’s dolphins, or North Island Hector’s dolphins, are Critically Endangered. That means “at an extremely high risk of extinction in the immediate future”. You might have thought that all avoidable human impacts have already been removed from their habitat – but you’d be wrong. The 2007 Threat Management Plan, written by the Department of Conservation (DOC) and Ministry of Fisheries (Mfish), shows that dolphin deaths in fishing nets is the number one threat. Gillnets (setnets and driftnets) are the most serious problem, with trawl nets not far behind. Unfortunately, gillnetting and trawling continue in substantial parts of Maui’s dolphin habitat. The most important areas left out of the protection measures are the southern part of their range and the harbours (Kaipara, Manukau, Raglan, Aotea and Kawhia Harbours). The Threat Management Plan was developed after several years of consultation with the fishing industry, dolphin watching industry, conservation groups, iwi and others. Occasional claims in the media that we’re “not sure” if fishing is the most serious impact or that “more research” is needed, come from individuals on the fringe. The fishing industry was consulted exhaustively on this issue, and had many opportunities to state those kinds of views. The concensus, based on decades of scientific research and fisheries monitoring (e.g. placing independent observers on fishing boats) is that fishing nets are the number one threat. The Minister of Fisheries is proposing to extend the protected area for Maui’s dolphins south, to Hawera. This would be a step in the right direction. What’s really needed is to protect Hector’s and Maui’s dolphins throughout their habitat, in waters up to 100 metres deep. In the map below, the red area shows the habitat of Hector’s and Maui’s dolphins and the green area shows the existing protection for them. Fortunately, there is no need to stop anyone fishing – anywhere. Plenty of selective, sustainable fishing methods are available, that do not kill dolphins. We are simply asking the fishing industry to use those fishing methods. This will benefit not only dolphins, seabirds and fish, but also the long-term economic bottom line. A change to selective, sustainable fishing methods will increase the long-term profits and sustainability of the New Zealand fishery. Once the fisheries impact has been solved, there will be a need for research and management of other threats, including pollution, marine mining and tidal energy generation. To make a submission follow the link on the right. And don't forget, the 11th Apri deadlinel! Download our new Otago University study by clicking the image on the right. 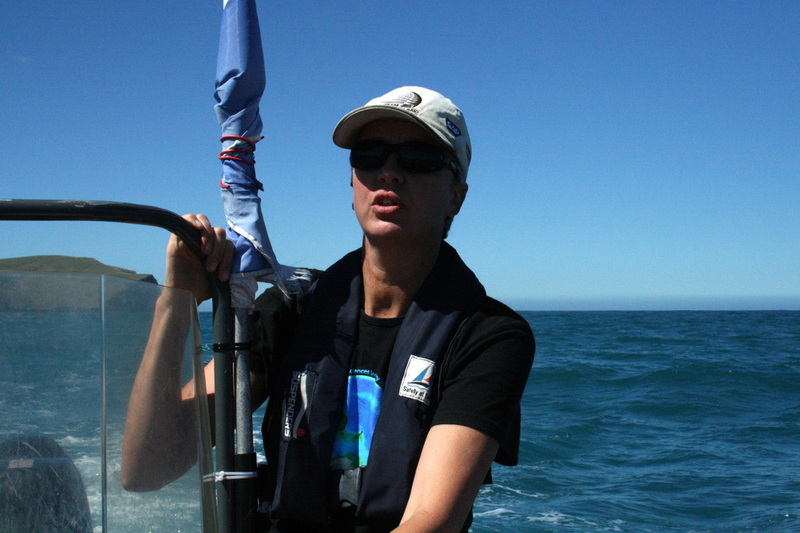 Dr Liz Slooten is an Associate Professor in the Zoology Department at Otago University and the foremost authority on Hector's and Maui's dolphins. 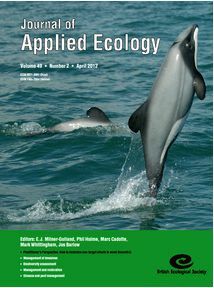 She teaches ecology, statistics, risk analysis and an MSc course on marine mammals. Her research on Hector’s and Maui’s dolphins started in 1984 when she and Dr Steve Dawson started their PhD research. Since then they have supervised several more MSc and PhD projects on the species. Their long-term research programme has produced more than 100 peer-reviewed scientific publications. If you want to find out about Hector's and Maui's dolphins, she's the one to ask.